A fiat and Bitcoin sportsbook and casino that covers a variety of events and games. BookMaker offers possibilities for placing bets on NFL, NCAAF, NBA, NCAAB basketball, NHL, MLB, UFC fights, Tennis matches, horse racing, casino, poker entertainment, and more. It has been around since 1996, operating 24 hours a day, seven days a week out of San Jose, Costa Rica. Bonded and fully licensed by the Government of Costa Rica, BookMaker offers its users many features, making their experience safe and enjoyable. BookMaker offers the possibility of live betting where results are updated in real-time, bets are graded directly, and accounts are credited accordingly. 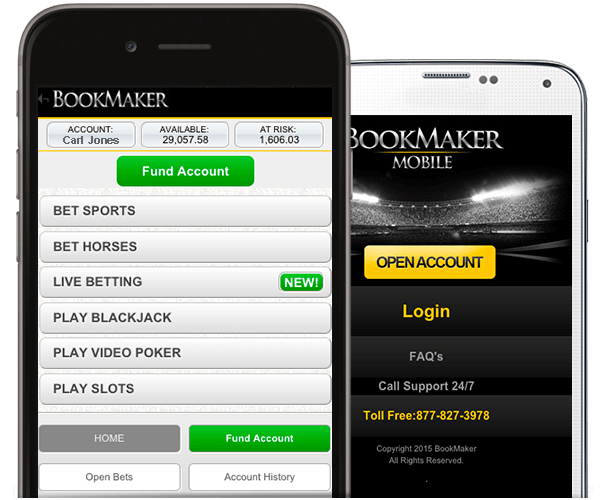 BookMaker offers a user friendly website and a mobile app, catering to users across platforms. This is great news for those who like to bet on the go. Opening a new account on BookMaker is fairly easy. There are two ways of doing it, the first option is the online method. In the online method, users can open a new account on BookMaker by entering personal information and selecting a password. The second option is the phone method, the user calls customer service and they help the user in opening their new account. Moreover, opening an account is free of charge. Ranging from $1 to $5000 online, and from $100 to $20,000 over the phone, users can start gambling as low as $1 online and as low as $100 by phone. Specifically, the cap for gambling is $5000 online, and $20,000 by phone. However, extending the maximum limit for high-end specific users is possible upon request. Furthermore, online users have to be careful, as bets can’t be changed or canceled once submitted. 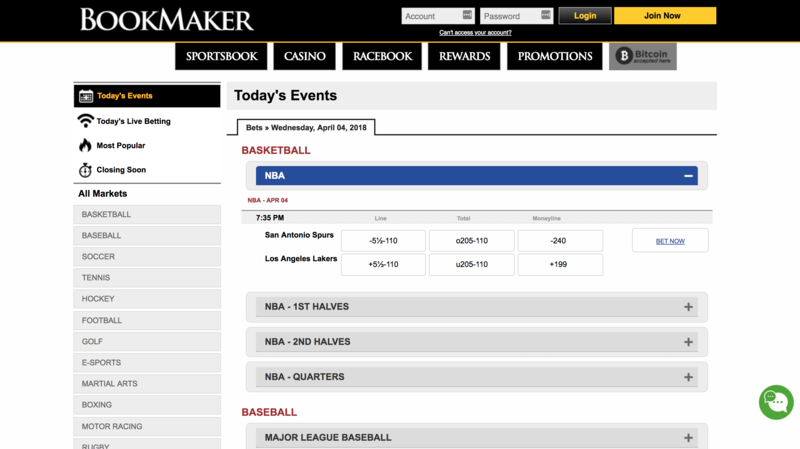 BookMaker allows users to wager on all major sporting events, including Football, Basketball, Baseball, Hockey, Soccer, Tennis, NASCAR, Golf, Horse Racing, Boxing, Rugby, Formula 1, Racing, and much more. In addition, BookMaker also allows users to wager on other non-sporting events, such as Politics, Academy Awards, Grammys, Reality TV shows, and much more. Users who wants to wager on BookMaker must be at least 18 years of age or older. BookMaker accepts users from all around the world, however one should consult the local government of the place of residency to check whether gambling online is legal. BookMaker doesn’t share the winnings/gambling activity information it has with any other third party, giving the responsibility and discretion of accounting and reporting for taxes, to the user. BookMaker offers users a wide variety of options to deposit money into their own account. 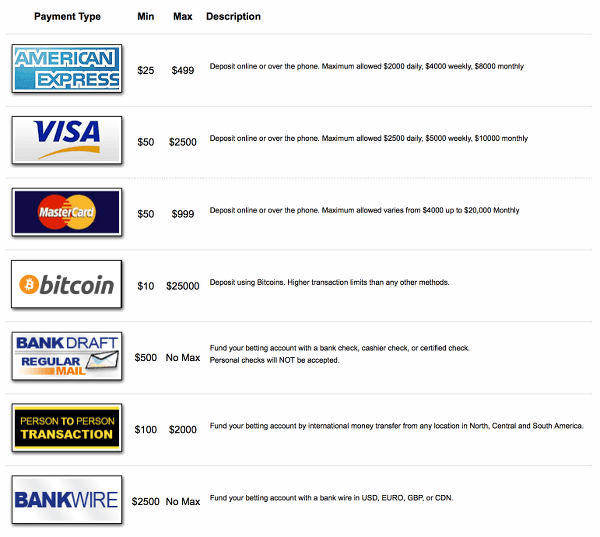 These options include credit cards, bank transfers, person-to-person transfer, as well as the use of Bitcoin. The good news is, when using a credit card there are no fees as BookMaker takes care of any possible depositing/processing fees. Users can also use Euros, GBP, USD, CDN Dollar, Swedish Krona, and Norwegian Krone when making a deposit. It is important to note that one has to be quite careful when choosing their preferred currency. When a user initially registers for a BookMaker account, the user will be asked to select a currency, and once the account has been created, it will not be possible to change to a different currency. BookMaker has no restrictions on where the users are using the service, so anyone who’s at least 18 years old can create an account and start gambling. BookMaker processes payouts Monday to Friday from 9 – 5 pm EST. Users can make a phone call or send an email to begin their collection process. As a rule of thumb, BookMaker will always credit back the original purchase to the account from which the user had made the initial deposit, any additional amounts can be paid based on the choice of the user. The user has a wide range of options to choose from of how the money can be used. 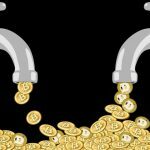 One feature that’s quite compelling is that fact that BookMaker accepts Bitcoin for the deposit will also process bitcoin for the withdrawal. Bookmaker only offer one promotion and that is a welcome bonus. 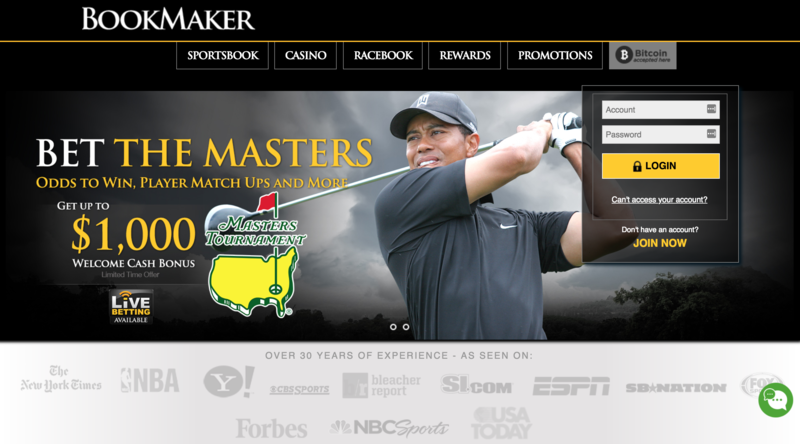 It is a 15% matched cash welcome bonus for the sportsbook up to $600. This along with a 50% matched casino bonus up to $1000. For the sportsbook bonus upon claiming the bonus there is a 5 time rollover requirement on both the deposit amount and the bonus. This must be completed before a payout can be requested. For the casino bonus there is a 40 time rollover requirement for both the deposit and bonus. You have the option to claim the sportsbook bonus without the casino bonus. Be sure to read the terms and conditions for more details before claiming the bonus. BookMaker is the place to be if you want to bet on sporting events, Politics, Reality TV, and many other events. The team works hard to keep personal information secure and safe, using the best measures and latest technology. The platform is fun, as it offers live betting, making gambling a much more exciting experience. It’s also compliant from a regulatory standpoint, as it’s legal and fully registered in the country of Costa Rica. Bookmaker.eu is a well established, popular casino that offers its users a wide range of sporting events to bet on. There is also a casino integrated within the site. It is a fiat currency site that also accepts Bitcoin.